Who is deaf singer Mandy Harvey who placed 4th in America's Got Talent? 1 Who is Mandy Harvey? Mandy Lynn Harvey was born on 2 January 1988, in Cincinnati, Ohio USA, and is a singer and songwriter, best known for being a part of the TV competition show “America’s Got Talent” during its 12th season. How rich is Mandy Harvey? As of mid-2018, sources estimate a net worth that is at $250,000, mostly earned through a successful career in music. She’s had numerous opportunities after her run with the television show “America’s Got Talent”, and as she continues her endeavors, it is expected that her wealth will also continue to increase. Growing up, Mandy already had hearing problems, and so had to undergo several surgical procedures to try and correct them. Her family later moved to Colorado, and she started developing a strong interest in music. She sang as early as four years old, and her talent was recognized while she was attending Longmont High School. She matriculated in 2006, after which her hearing problems continued to develop due to the connective tissue disorder Ehlers-Danlos syndrome, which can cause numerous unusual problems including hyperelasticity, loose joints and abnormal scars, and complications can lead to scoliosis, chronic pain and joint dislocations, among other effects. Due to the rarity of this problem, it is often misdiagnosed as hypochondriasis or chronic fatigue. There is no known cure for the disease, but physical therapy can help strengthen the muscles. For Mandy however, it was her ears that were affected, and she lost it completely when she turned 18 years old, actually when she was a vocal music education major at Colorado State University; consequently she had to give up, and leave the university. Harvey initially gave up on her dream of pursuing a career in music, but decided later that she would learn how to still make music, while coping with her lack of hearing. She started to learn how to use visual tuners, how to sense vibrations in the floor to help her match tempo, and how to trust her pitch. In 2008, she met jazz pianist Mark Sloniker, and began performing at Jay’s Bistro located in Fort Collins. She would later perform in Denver at the Dazzle Jazz Lounge, before recording several jazz albums. Her debut album was entitled “Smile”, and it was noted by numerous music critics that her vocals were good, with some stating that her voice was captivating. In 2011, she would win the VSA’s International Young Soloist Award, after which she returned to perform at the Kennedy Center. 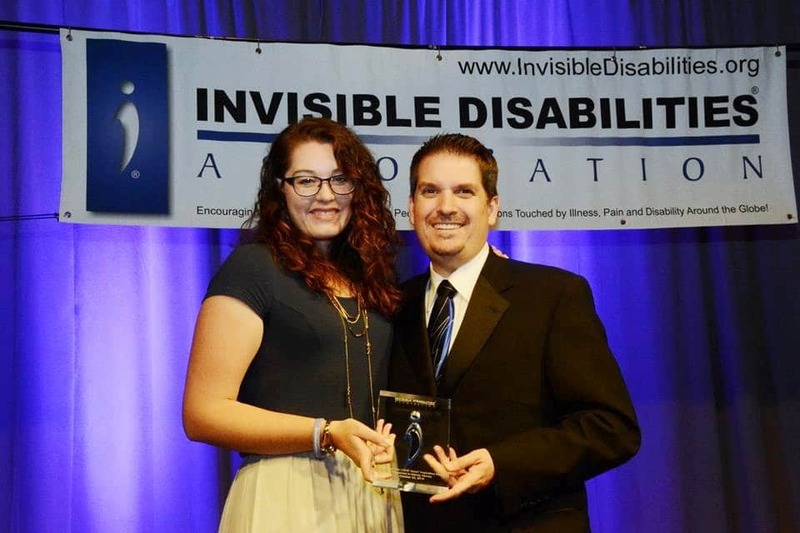 Because of her achievements, she started working as an Ambassador for the non-profit organization No Barriers which helps people with disabilities overcome them. In order to learn how to use her pitch well, she continues to use visual tuners. In 2017, Mandy auditioned for the 12th season of “America’s Got Talent”, in which she used a ukulele to perform an original composition. Despite her lack of hearing, her talent earned her a golden buzzer from judge Simon Cowell. She performed original songs throughout the competition, and was able to reach fourth place before getting eliminated. “America’s Got Talent” is a part of the global “Got Talent” franchise created by Simon Cowell which is used to help attract participants with various talents, ranging from singers, dancers, comedy acts, variety performances, stunts and magic. Other judges in the show include Howie Mandel, Mel B, and Heidi Klum. The show has been responsible for helping discover and promote a variety of talented performers. During the same year, Mandy published a memoir with co-author Mark Atteberry, entitled “Sensing the Rhythm: Finding My Voice in a World Without Sound”. Later in the year, she mentioned that she was accused of promoting oralism which is how deaf students learn oral language using lip reading, speech, and mimicking mouth shapes. She’s also received death threats within the Deaf community for promoting a “hearing” activity. For her personal life, it is known that Mandy is married to Travis, but very little information is known about their relationship or about Travis in general. She remains active in the industry and continues to promote her music through online platforms such as in Instagram, Twitter, Facebook, and on her personal website. Numerous videos of her performances are also available online through the website YouTube. She continues to travel and perform around the country. thanks partly to the exposure she gained while a part of “America’s Got Talent”. She also showcases pictures of her friends and family.